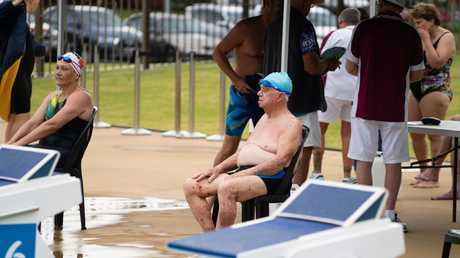 WHEN 93-year-old Don Robertson steps into the pool today he wants a Pan Pacific Masters Games record. 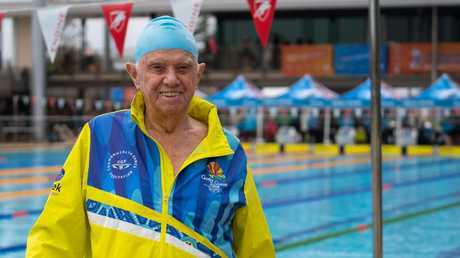 The Runaway Bay swimmer has teamed up with two 91-year-olds and a 90-year-old to create the oldest-ever relay team, with a combined age of 365. The team is called Don's Nons. Having started swimming at just five years old and previously competing in hockey, rugby union and squash, Mr Robertson says no one can force him to give up the sport he loves. "My friends say to me 'take it easy, don't do too much', but I decide what's too much," he said. "Other people can't tell me what's too much. 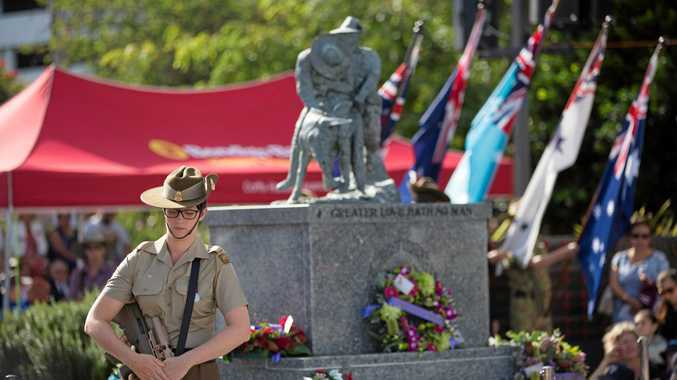 "If I get up in the morning I can duck over and have a swim in my retirement village. I don't have to worry about the weather, it helps me to keep fit." Mr Robertson competed in six events at the 2016 Pan Pacs, eight events this year and hopes to bump the number up even higher next time. "The Masters isn't on for another two years, so I'll have to do 10 then. "One of the biggest problems now is getting out of the pool."